Awang Goneng Is In Town! Today, I met Uncle Awang Goneng at the Universiti Putra Malaysia (UPM). Awang Goneng (a.k.a. Wan A. Hulaimi) grew up in Terengganu but later on moved to London, a place so far away from his homeland. 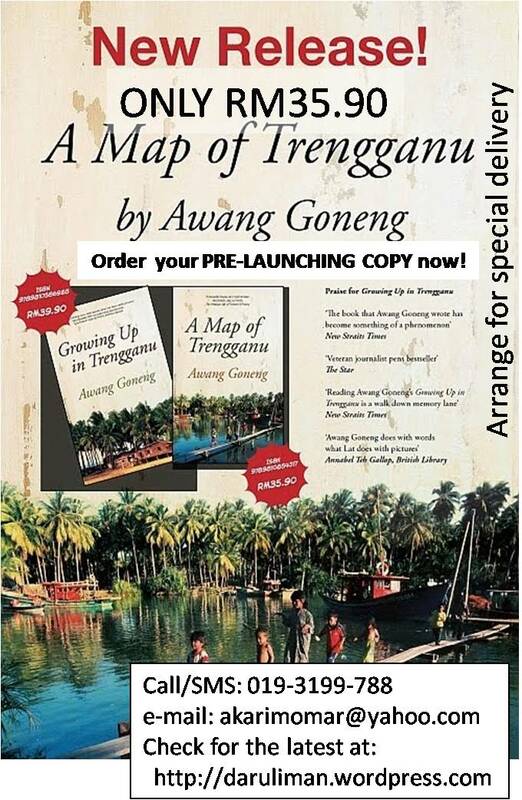 His beautiful book ‘Growing Up In Trengganu’ (originated from his blog –http://kecek-kecek.blogspot.com) was written to share with everyone about the life in Terengganu in the 60’s. I attended ‘The Writing Mind’ workshop where Uncle Awang Goneng taught us some tips on writing. One of them which sticks in my mind was to increase your vocabulary skills – or in other words, never be afraid of using a dictionary. It reminds me of Prof. Muhammad Al-Mahdi’s ‘favourite assignment’. He would tell my classmates and I to make a list of 20 hard words and remember all 60 words, it’s spelling and definitions. To make sure we memorised each of them, we shall have to take a test at the end of the week. Uncle Awang Goneng also taught us to read aloud what we have written after finishing a piece of work. It helps us to correct unnoticeable small mistakes. This was also taught by Prof. Muhammad and since then, I made a huge improvement in my writing class. too. I guess one day, Terengganu would be the only state in Malaysia to lose all of it’s history and heritage clue to the cruel act of the state government. Before leaving, I took the opportunity to ask Awang Goneng to autograph in my diary. Thank you Uncle Awang Goneng (Uncle Wan).